We drive on it, walk on it, play and bike on it. Even our planes land on it but seldom do we stop and think about what asphalt is or how to care for it. First, let's take a look at asphalt ingredients. So what is asphalt and its ingredients? There are actually two basic ingredients in asphalt. The first are aggregates; this is a mix of crushed stone, gravel, and sand. Aggregates make up about 95% of hot mix asphalt pavement. The other 5% is bitumen. Bitumen is the black or dark viscous material that holds the aggregates together, and is composed of polycyclic hydrocarbons (a petroleum byproduct). For a deeper understanding of asphalt's ingredients, the elemental components of asphalt include carbon, hydrogen, sulfur, oxygen, nitrogen, and trace amounts of iron, nickel, and vanadium. There are actually several different types of asphalt, and they are categorized by the process used to bind aggregate with the bitumen. Hot mix asphalt concrete is produced under high heat and is the most durable of the asphalt types. It is generally used in high-traffic applications such as on highways and airport runways. Warm mix asphalt concrete does not require high temperatures for manufacturing because of the addition of emulsions, waxes, and zeolites. While it is safer for the environment and workers and uses less fossil fuels in its production, it does not offer the same level of durability as hot mix asphalt concrete. Thus, it is primarily used for low traffic areas or for patching. Mastic asphalt has less bitumen content than hot mix asphalt concrete and is commonly used for roads, footpaths, play courts, and roofing. Regardless of its type, all asphalt needs some maintenance to provide extra protection and durability. If you've ever been jarred by a crack in an asphalt road, you know that the material doesn't last forever. The performance of asphalt can vary widely depending on a number of variables that include the presence of moisture, temperature fluctuations, volume of traffic, and exposure to certain chemicals. Even varying asphalt ingredients can determine its durability. Because asphalt can hold the weight of vehicles, it is the material of choice for roads, parking lots, and driveways. It can be applied rapidly and can be patched easily by pressing it directly into cracks and potholes. Over time, asphalt ingredients can begin to erode and decay from heavy traffic, exposure to the elements, and expansion and contraction. Because of this, the use of a sealcoat is absolutely essential to the proper maintenance of any asphalt-paved surface. 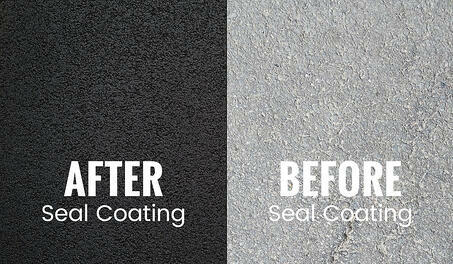 While there are a number of sealing products on the market, we only recommend the use of coal tar asphalt sealer because of its ability to create an effective buffer against traffic, water, oil salt, and other staining agents. When asphalt ingredients aren't properly protected with a coat of sealer, they will inevitably crack. Leaving even small cracks and fissures exposed and unrepaired will definitely lead to more serious damage such as potholes, crumbling asphalt, and foundation damage. This ultimately results in the need for costly asphalt replacement. What Is Asphalt's Most Effective Maintenance Strategy? For homeowners, it's important to understand the ingredients in asphalt because it does need to be maintained on a regular schedule. An asphalt driveway can remain in good condition for decades if it is properly cared for. Knowing what can negatively affect asphalt ingredients is also important. Since oil, grease, gas, salt, and transmission fluid can break down the quality of asphalt and ultimately result in cracking and crumbling, these substances should be cleaned up quickly if spilled on asphalt. As part of preventative maintenance, asphalt should be inspected for cracks. Even small, hairline fissures that go unrepaired or unfilled can cause the ingredients in asphalt to deteriorate. 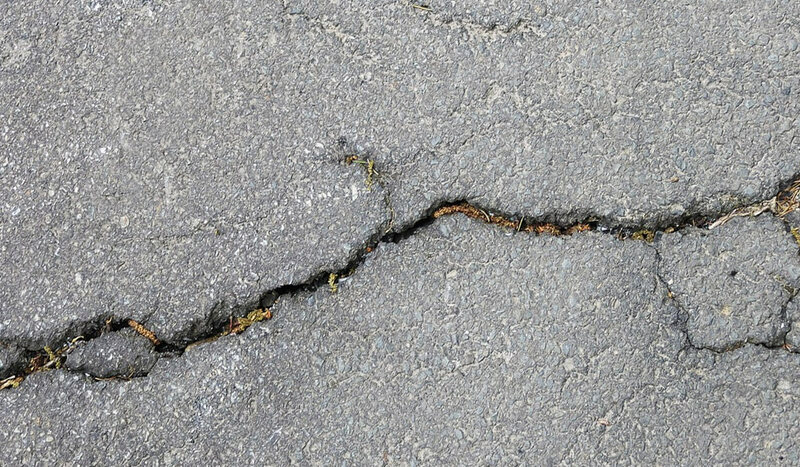 With all types of asphalt, a certain amount of cracking is inevitable. 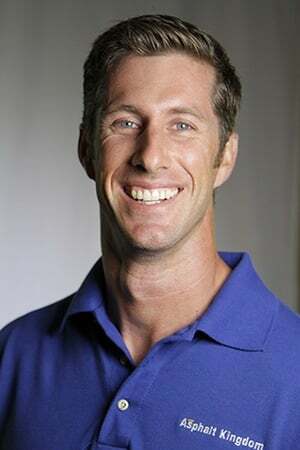 The secret is to fill the cracks before they expand and turn into potholes or larger areas of crumbling pavement. There are two types of crack filler that can be used on any asphalt or concrete surface. Cold liquid pour asphalt crack fill is high effective in sealing cracks up to ½” in width. The product is easy to use and keeps cracks on all types of asphalt sealed for several years. Hot pour crackfill is commercial-grade rubberized asphalt crack sealer that works on cracks up to 1” in width. It can be safely heated in a kettle or crack fill applicator melter and poured into cracks to seal out water, ice, and debris. It will keep cracks sealed for up to four years. All asphalt types require proper maintenance and proactive repair to retain their appearance and overall condition. Because of the nature of asphalt ingredients, driveways should be sealed every two to three years to prevent oxidation, loss of flexibility, cracking, and crumbling. At Asphalt Kingdom, we recommend the use of coal tar sealer which protects the bitumen from oxidizing, becoming brittle, and cracking. It is easy to apply with either a spray system or a squeegee and dries quickly in three to four hours. 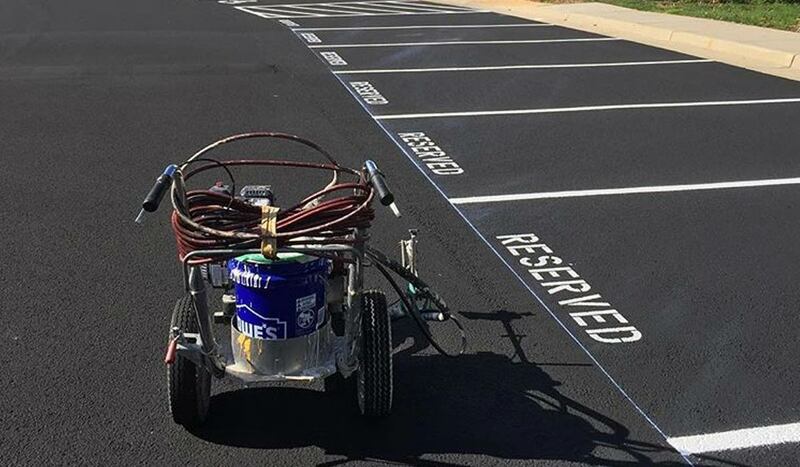 Whether you have a driveway or a parking lot for your business, sealcoating asphalt should be a priority. To learn how to maintain your asphalt, take Asphalt Kingdom's free AKPRO 4-day Email Asphalt Maintenance Course. With the course, you can learn everything you need to know to protect your asphalt investment.